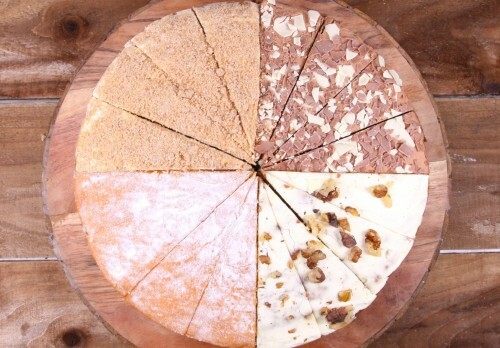 Try all the flavours with our super sharing sponge - 14 different flavours in one cake! 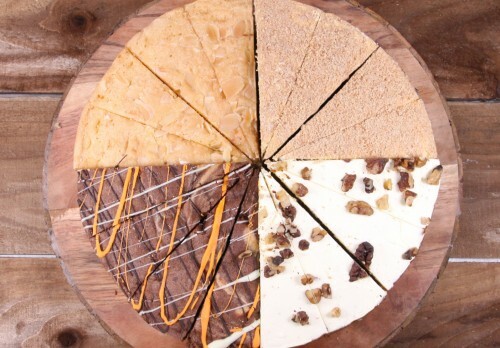 Our four sharing cakes contain four different flavours with four wedges of each - choose from traditional, quirky or gluten free. 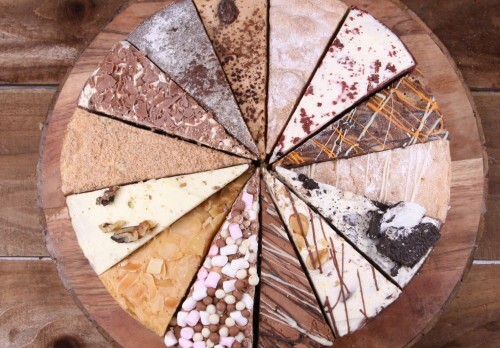 Create a unique cake and fill it with all your favourite slices! This cake really is what you make it.